The Sensex rose 221 points to end at 37887 and the Nifty advanced 60 points to close at 11450 levels. [New Delhi]: On Wednesday, the Indian stock market closed on the new peak. The main index Sensex, with 221 points up, was trading at 37887 and the Nifty gained 60 points to close at 11450 levels. Most of the purchases have been done in ONGC and Reliance shares. ONGC was trading 2.87 per cent higher at 171.90 and Reliance rose by 2.85 per cent at 1217.25 levels. On the National Stock Exchange, the Midcap Index was 0.01 percent down, and Smallcap was trading 0.30 percent higher. Talking about the sectoral index, all other indices except auto, IT, pharma and realty are closed in green mark. Most shopping has happened in PSU bank shares. Businesses are closed with the increase in the bank's (0.67%), financial services (0.58%), FMCG (0.52%), metal (0.24%) and private bank (0.67%). If you talk about heavyweight stocks in the Nifty, then 34 green mark and 16 declines have been closed by 4 rows. The fastest growth is in the shares of ONGC, Reliance, Cipla, Infratel and Bajaj Finance. At the same time, shares of Lupine, Maruti, Hindapetro, BPCL and Grasim declined. The Indian stock market is beginning to see a slight increase. 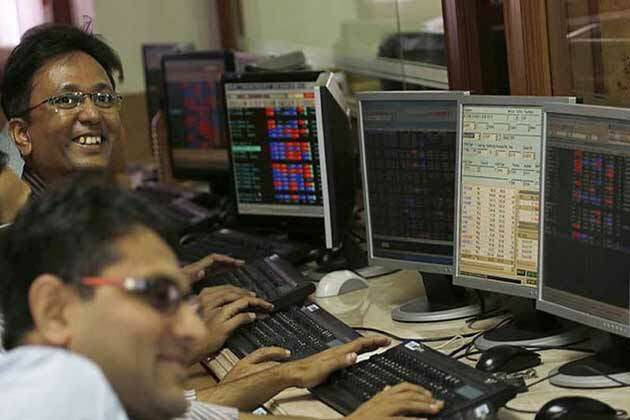 The Bombay Stock Exchange's (BSE) index Sensex is up 23 points at 37689 and the National Stock Exchange's (NSE) index is trading at 11394 levels with a marginal increase of 5 points. The highest selling is in Infosys and ICICI Bank's shares. Infosys' counter is down at 0.77 percent, at 1358 level and ICICI Bank is trading 0.93 percent down at 310.20 levels. On the National Stock Exchange, the Midcap (0.04 per cent) and the smallcap (0.32 per cent) are getting an edge. The international market is seeing an edge. Japan's Nikkei gained 0.49 per cent to 22774.56, while China's Shanghai fell by 0.32 per cent to 2770.49, with Hongsang rising 0.42 per cent to 28,368 and Taiwan's Cospy 0.30 per cent to 2307 Is doing business at the level of. At the same time, the US market has closed down in the past session with the increase. The main index, Dow Jones, rose by 0.50 per cent to 25628, with S & P 500 gained 0.28 per cent to 2858 and Nasdaq by 0.31 per cent to close at 7883 level. Talking about the sectoral index, all the indices except the bank, FMCG and the metal are trading in the red mark. The highest-selling IT shares are available. Auto (0.09 per cent), Financial Services (0.09 per cent), Pharma (0.20 per cent), PSU Bank (0.11 per cent), Private Bank (0.01 per cent) and Realty (0.07 per cent) fall. Talking about the big names in the Nifty, 25 green mark and 25 are trading with the fall. The fastest is in the shares of Hindalco, Jail, Bajaj Finance, Bajaj Finservis and Coal India. At the same time, shares of BPCL, Hindapetro, HCL Tech, Wipro and ICICI Bank have declined.